SCANTrivia puts your event at the cutting-edge of technology with a lead retrieval solution that is affordable and effective. Unlike traditional lead retrieval systems, the SCANTrivia platform does not require the use of equipment. This strengthens your ROI by positioning you to allocate the cost-difference for other event line items. Also, since this functionality is within the SCANTrivia platform it combines gamification with lead retrieval cultivating an environment where exhibitors have the opportunity to bridge an informative conversation about their products. This not only increases the interaction between the attendee and exhibitor but it also boosts the amount of dwell-time spent at the booth. 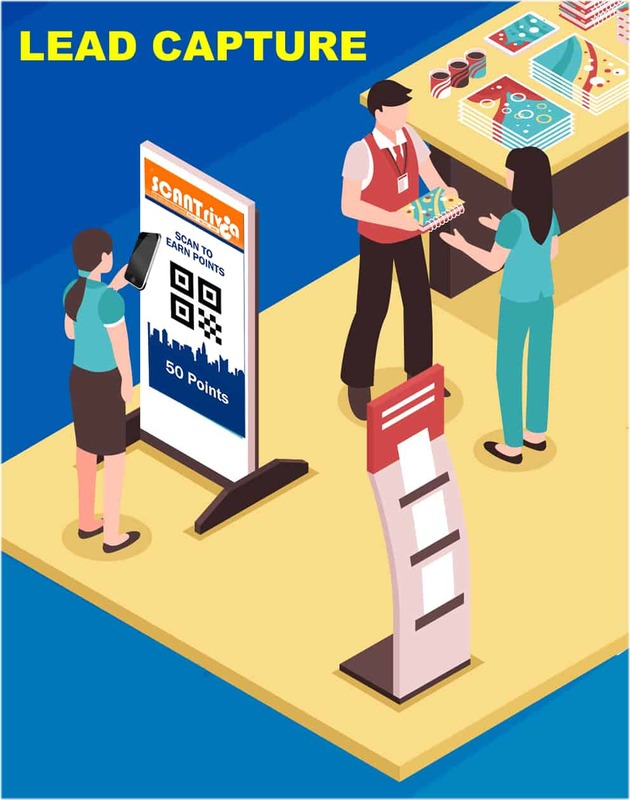 So if your company or organization is looking for an affordable way to provide lead retrieval to your exhibitors with game mechanics that prompt engagement then the SCANTrivia platform will serve perfectly for your next event.